Jamal, the eldest son of a rich lumber businessman, is married to Aminah. 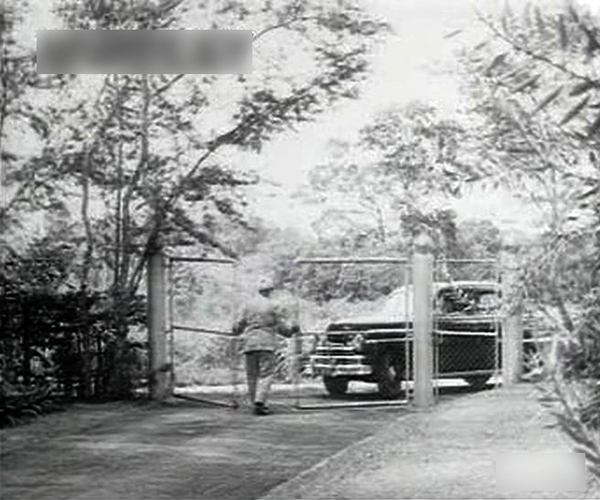 Together, they live with their young daughter Mardiana in a colonial bungalow, served by a pair of domestic helpers. Jamal becomes tired of attending to his father’s business and comes under the influence of Harun, an insurance agent, who introduces him to a seductive woman, Aishah. He falls for Aishah and submits to her wishes, leaving Aminah and Mardiana to fend for themselves. 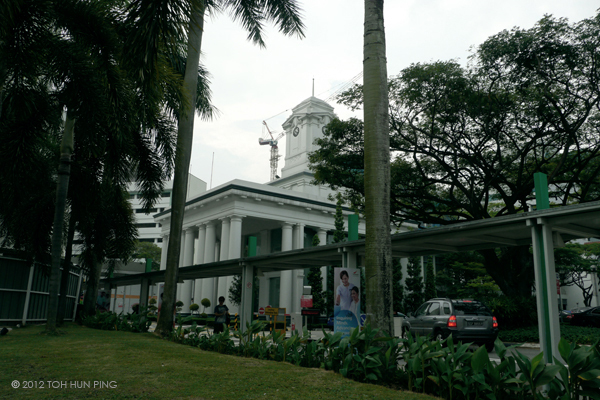 The film locations that I wish to highlight for this film succinctly represents the housing choices and aspirations of a (Malay) Singaporean living in 1940s-50s Singapore; in an era before Housing and Development Board (HDB) public flats came into existence. 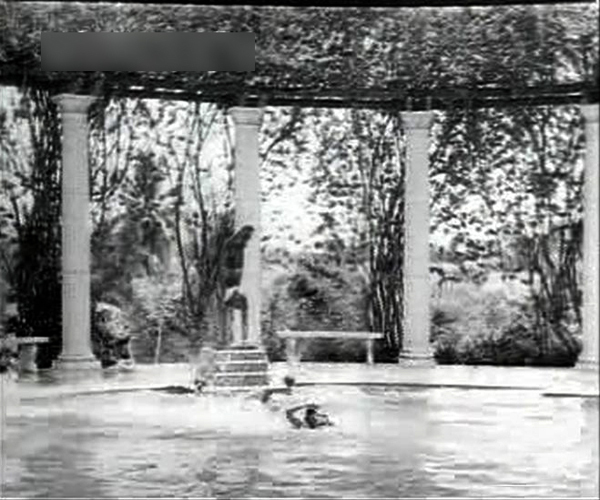 The concept of the bungalow, a detached housing complex with a private garden, came originally from India as a result of the English colonial experience there in the 18th and 19th centuries. In England the concept was accepted as part of the romantic ideal and as an avenue for post-industrial social and political aspirations by the rising middle classes. It was then diffused to the British colonies, which includes Singapore, as the basic residential unit of the colonial community. Wealthy segments of the ethnic and migrant communities in Singapore — eg. 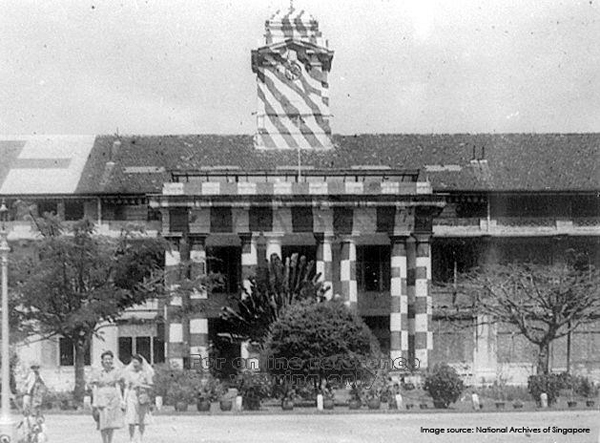 the Chinese towkays, rich Malay businessmen — began to emulate and identify with the ways of colonial administrators and aspire to build and live in bungalow complexes as well, as a mark of their social and economic status. Jamal, as a representation of the upper-middle class in the film, embodies that aspiration. 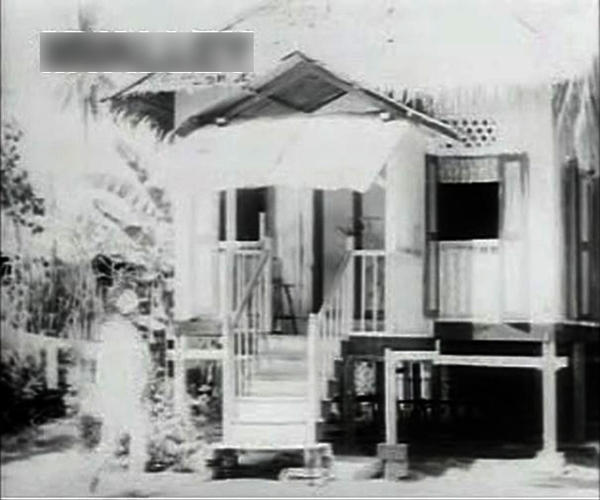 He chose to live in a colonial bungalow, rather than in an indigenous Malay kampung house. Architecturally speaking, the genesis of the Singapore colonial bungalow lay in influences from the West and from within the Asian region. 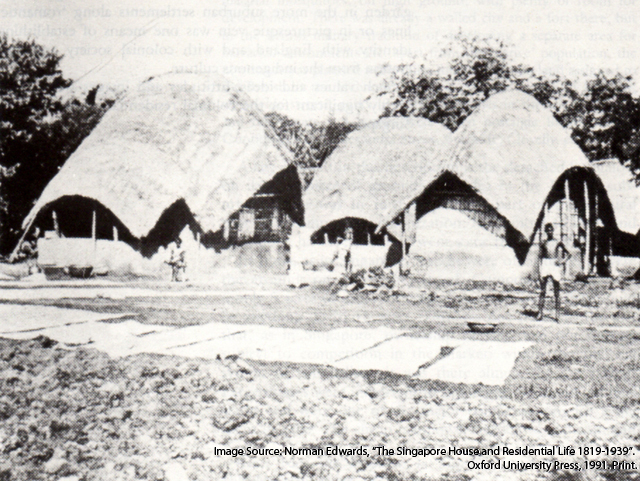 According to Norman Edwards in his book “The Singapore House and Residential Life 1819-1939” (published 1991), the most significant of those influences was the native dwelling “bangglo” of 18th century Bengali India, which was later adopted by the British colonial administrators. Etymologically speaking, the word “bungalow” is derived from the Bengali word “bangglo”, which means a peasant hut in Bengali. 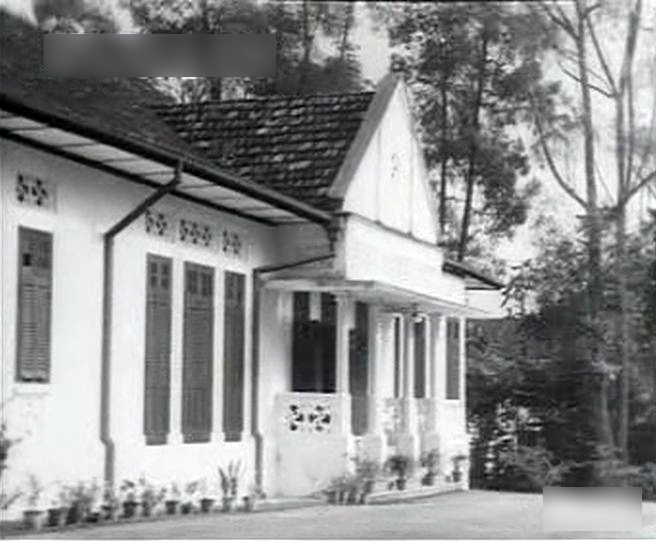 As the concept of the colonial bungalow diffused in Singapore, the bungalow type eventually adapted to local demands and needs, and variations started to sprout over the span of the 20th century. 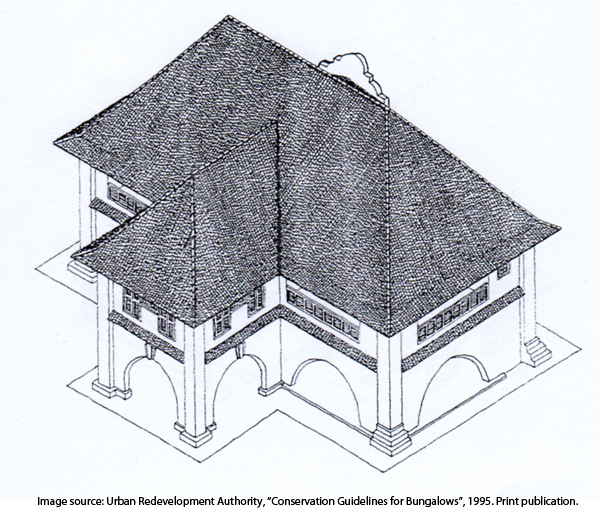 The Urban Redevelopment Authority (URA), in its “Conservation Guidelines for Bungalows” (published 1995), identified five general architectural styles among early bungalows in Singapore. The categorisations are: Early Bungalow, the Victorian Bungalow, the Black and White Bungalow, the Art Deco Bungalow and the Early Modern Bungalow. 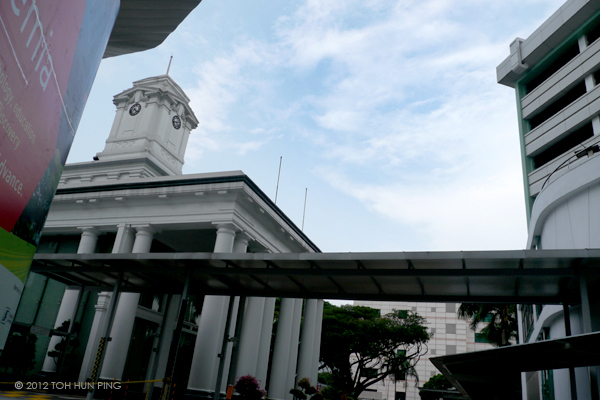 If URA’s categorisations can be trusted, Jamal’s house can be considered as one of “The Art Deco Bungalows”, as it is characterised by pitched roofs, an entrance portico, verandahs and simple, geometric streamlining of classical motifs on the facade of the building — on other bungalow variants, especially the Victorian Bungalow, the decoration is heavy and opulent. Aishah, in cahoots with Harun, enjoys the ways of the rich, and Jamal is enticed into accompanying her on her merry-making trips to huge villas, night clubs and cabarets. And he is footing the bill. So, could Jamal have considered “upgrading” to a large mansion or villa, to house his new-found mistress? Could Jamal have contemplated joining the ranks of the villa-owning upper class; using the outward appearance of owning a huge villa to identify himself with those high up on the socio-economic ladder? Jamal does not have the means to buy a villa yet, so he invites Aishah to live with him in his single-storey colonial bungalow; which is pretty modest by Aishah’s standards, I would believe. 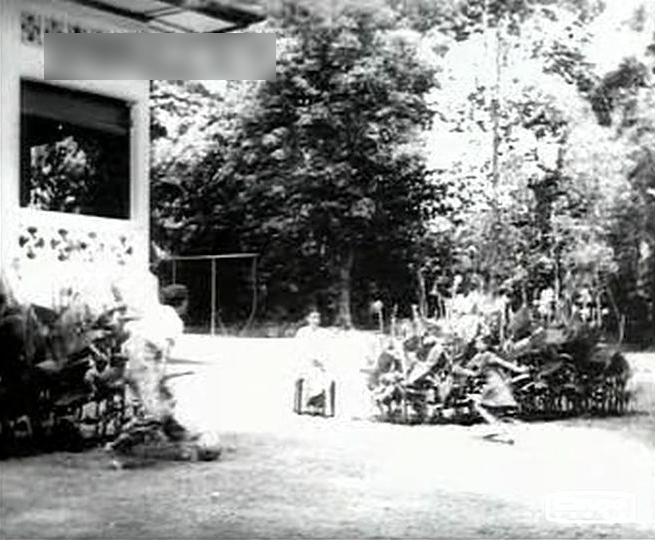 As a result, Jamal’s wife Aminah and their daughter Mardiana are chased out of the bungalow and left to fend for themselves. So, where can Aminah and Mardiana go? The screenwriter’s solution is “balik kampung” (literal translation: return to the village). It was a patriarchal society in the 1950s and women were not brandishing feminist rights yet — that would have to wait until the 60s. 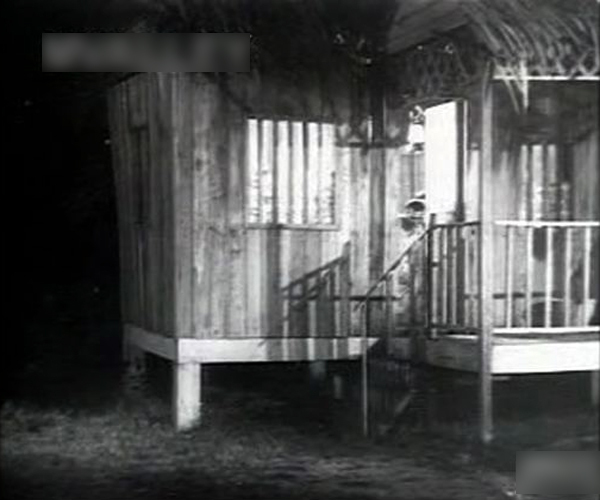 So, Aminah is without money, is powerless to fight for matrimonial settlement and forced to return to her village/kampung and live in a simple Malay kampung house – a dwelling hut on stilts made out of wooden beams and concrete pillars, woven bamboo floor and plank wood walls, and a roof made out of woven leaves from sago or nipah palms. 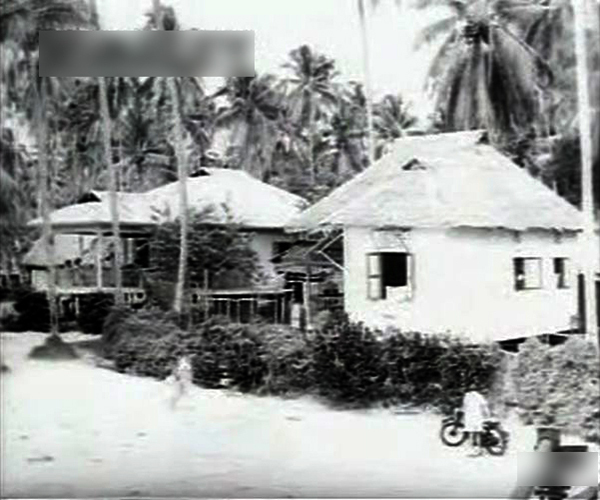 As opposed to colonial bungalows for the upper & middle classes, and villas for the upper class/landowners/capitalist/noblility/aristocrats, indigenous kampung houses can be identified as one of the choice accommodations for the 1950s working class or proletariat, regardless of race. Another type of accommodation popular among the working class is the shophouse. Post-independence HDB public housing flats will come to replace the kampung houses and shophouses as the quintessential working class accommodation type in Singapore. Given the existing class divide with regards to housing, it is also known for some members of the upper class to choose to live frugally and live among the masses. 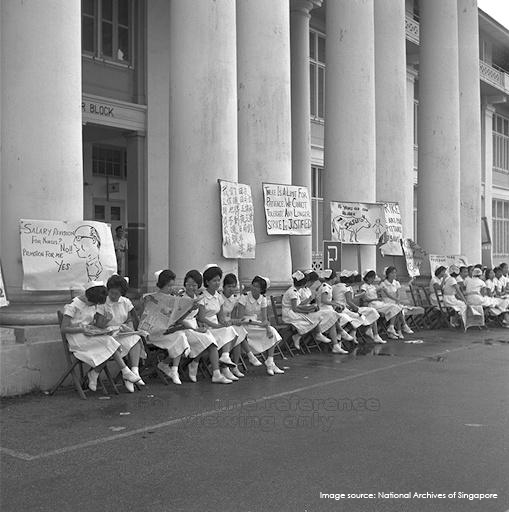 Some may resolve to identify themselves with none of the classes and take advantage of the social mobility that the Singaporean society seemed to offer. However, it is indeed ironic that, the members of the upper class usually have the flexibility and financial means to move freely among the class segregations, but the members of the lower class will have a tougher struggle if they wish to move beyond their plebeian socio-economic status. 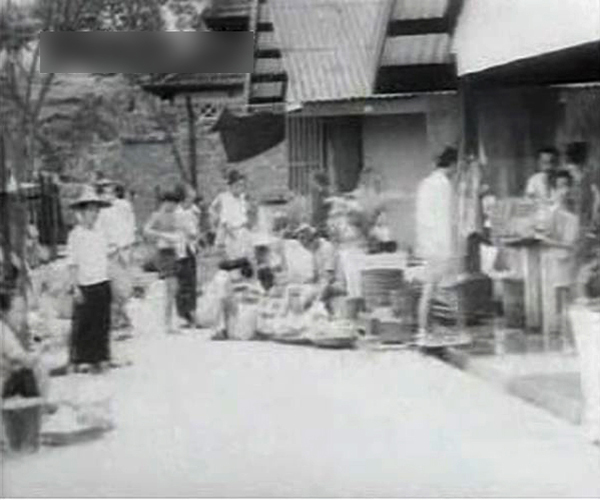 The emphasis of this blog entry for “Racun Dunia” has been on housing types in 1950s Singapore. Hope it is sufficiently comprehensive for the demands of a blog entry…. 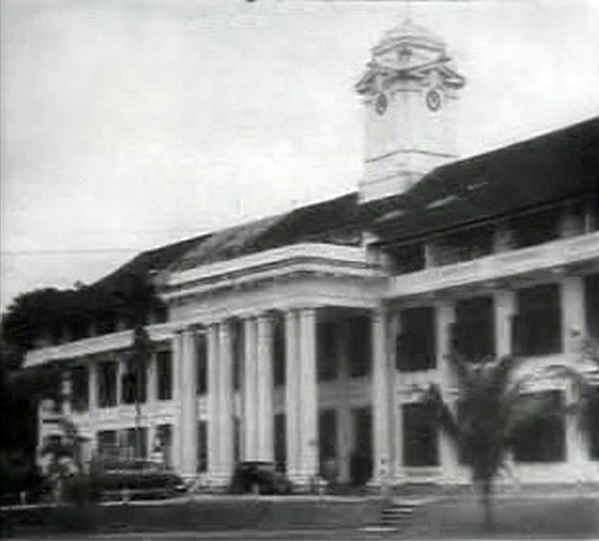 Now, I wish to turn our attention to a short instance in the film — an image of an old public building that appeared for a mere two seconds…. 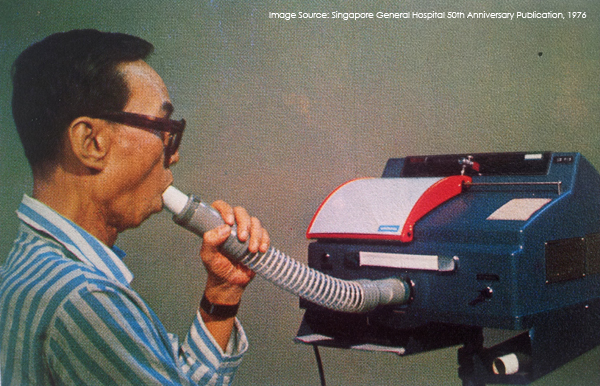 This was Singapore General Hospital (SGH) in 1950. To be specific, this was the Bowyer Block and housed the administration department of the hospital. 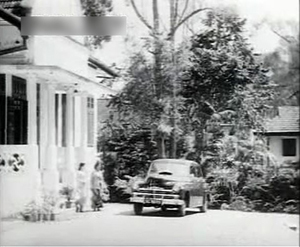 In the film, Jamal’s servant had been hospitalised due to a car accident, so there is this establishing shot of the hospital exterior before we see the servant in the ward interacting with the doctor. The Bowyer Block has been partially conserved and now houses the SGH museum. But it is constantly being encroached by ever taller and larger blocks over the years due to the hospital’s expansion plans and the pertinent demand for more hospital wards and beds. 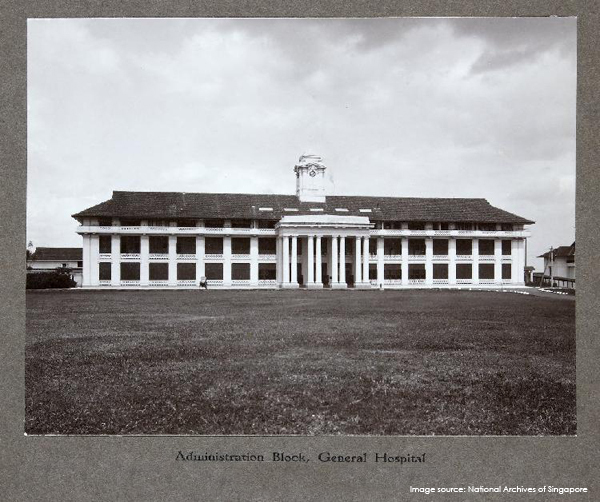 The Bowyer Block was part of a new General Hospital that opened on 29 March 1926. This hospital was considered to be the seventh one — as the hospital moved locations several times — and the second one at what-used-to-be-called Sepoy Lines. (Where SGH is now located used to be called Sepoy Lines, where Indian sepoys or soldiers under the charge of the colonial government previously lived. Hokkien singaporeans would say “sipai-por” or “sepoy hill”. “Sipai-por” is still in use now, at least my dad still does…) Nowadays, the Bowyer Block enjoys the company of the newer hospital blocks, some still in development. 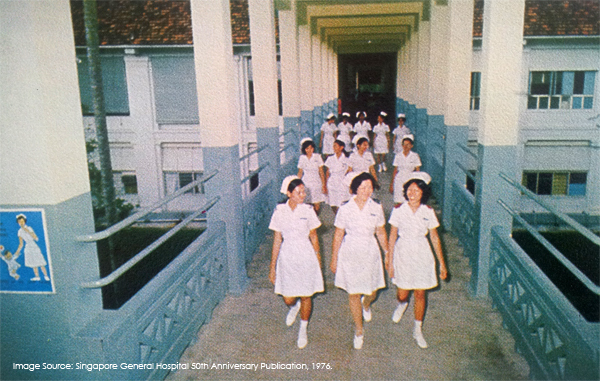 Nurses, when they were not striking, walked gracefully along the corridors of the Bowyer Block, 1976…. 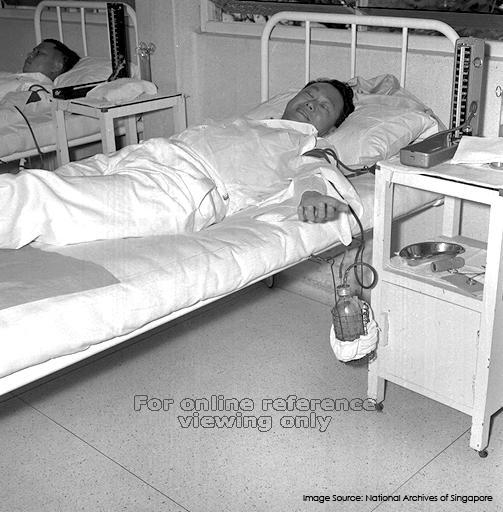 Er, I know I am digressing here, but I would just like to end off this post with the following image from the National Archives as we are on the subject of hospitals….